Bye bye, Mandrill! Dear Devs, what’s next? Now the answer can and will get as controversial as it can. Remember Mac vs PC, or Vim vs Emacs? But even if we keep flame wars aside for a moment, the case of transactional emails gets pretty complicated. Why? Because of the lack of consensus on the “true solution for getting emails delivered into the inbox”. In other words, the spam algorithms for different email service providers (such as Gmail or Outlook) are blackboxes. The exact implementation of these spam algorithms is unknown and it varies from one email service provider to another. And thus there is a lack of consensus on the “true solution for getting emails delivered into inbox”. There are no silver bullet solutions to ensure or even improve deliverability in user’s inbox. 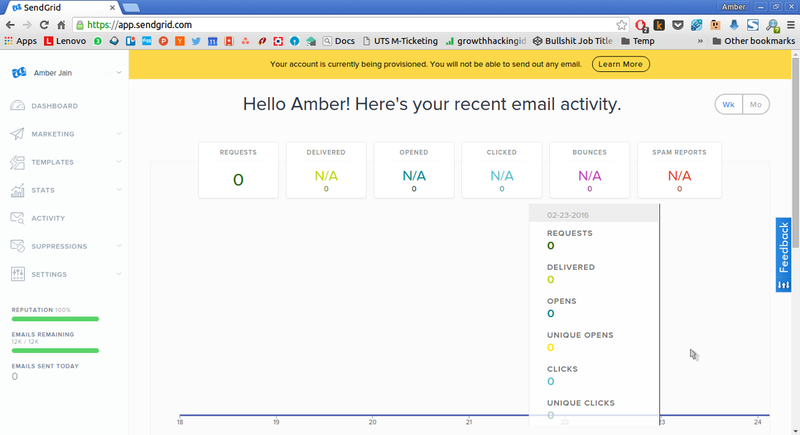 Reliable: A reliable service will ensure that your emails land in user’s inbox (rather than getting tagged as spam). Deliverability problems, if any, should only arise as a direct result of your practices/mistakes. Scalable and Fast: The service should be scalable (millions or more emails daily for a single customer). And it should deliver these emails as fast as possible. This blogpost on Mandrill’s blog clearly outlines the importance of fast transactional email delivery. But almost every site will boast reliability and scalability as part of their sales pitch. How to tell which websites are trustworthy? Well, most of the transactional email services have a section on their website where they list the logos or success stories of their customers. You can use it to see which services are being used by high traffic sites run by big companies. You can also use one of the many sites like StackShare which list the different companies using different transactional email services. Cheap: This could matter if you are low on budget (i.e. in case of hobby projects or startups). A quick survey seems to indicate that Amazon SES is the cheapest of all the major contenders listed above. Features: Different services provide different features. For exampls, AWS SES provides just a barebones interface with basic reports and graphs, API, delivery confirmations and a few other features. On the other hand, Mandrill’s current offering (as of February 25, 2016) includes API, delivery confirmation, dedicated IPs, searchable activity log, tracking options, tagging, split testing, detailed reports, templates, custom domains, wrappers and many other features. 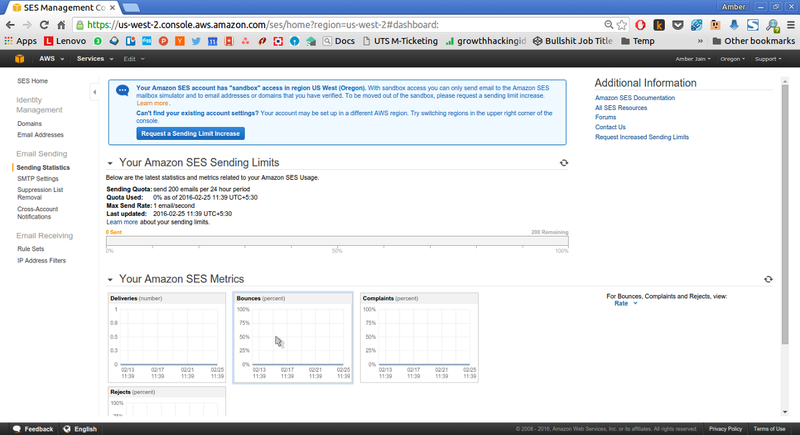 Thus, for example if you need a barebones interface but cheap solution, then AWS SES is the way to go. Controversial features: As discussed above, SendGrid and Postmark had a public debate about dedicated IPs in transactional email services. From what I understand, there is no consensus on many controversial features like dedicated IPs. For such controversial features, understand the implications of using or not using the feature and then choose a side. In the end, you should take the final call based on your requirements. I personally would use and recommend SendGrid or AWS SES. Bonus protips: The art of getting emails delivered to email inbox is widely misunderstood. For starters, sending transactional/promotional emails with just one big image will cause a high bounceback rate. There are many such best practices in the transactional/promotional emails world which must be followed if you want to get email delivered to user’s inbox (instead of spam). Most bulk email services maintain documentation about the same in whitepapers, knowledge bases, docs etc. (e.g. MailChimp’s Knowledge Base, AWS SES Best Practices Whitepaper etc.) Read and understand such docs if you really care about growth for your product. Wait what! Did MailChimp just referred thousands of customers to Amazon’s SES just because the new MailChimp+Mandrill combo might be more expensive to use? The new MailChimp will still allow users to send transactional email using a Mandrill addon. Conventional (and evil) sales wisdom suggests that MailChimp should have justified the increase in pricing using (pseudo-)features. This is what sales pitches are for. I know that it isn’t unusual for big companies to refer customers to new services when they are shutting down one of their products, but Mandrill isn’t exactly being shutdown. I can’t resist the temptation to thank MailChimp for honest advice in this case!